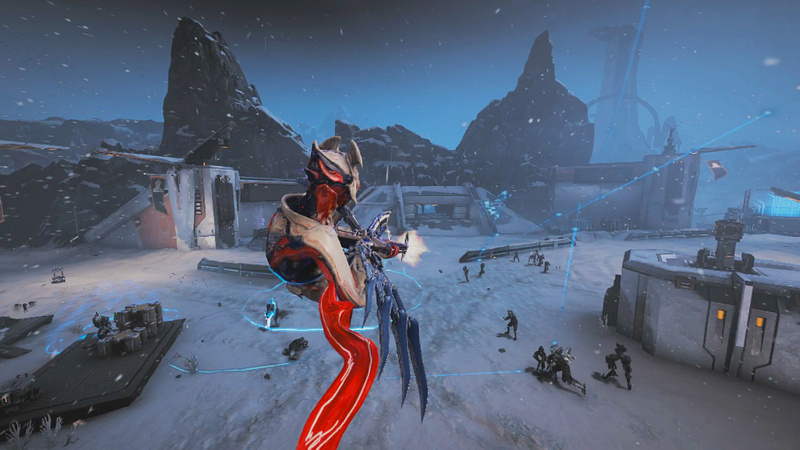 Digital Extremes has revealed that Warframe's next large, open-world expansion, Fortuna, is coming to Nintendo Switch today. The best part? It's entirely free. Fortuna brings with it a new landscape for you to explore, with new gameplay, activities, storylines, and more. You'll find yourself dashing across frozen tundras and exploring mountains, forests, and caves, all while fighting off against the spider-like Raknoids or the greedy Corpus faction. Well, what are you waiting for? 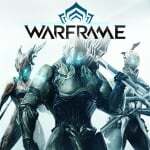 Warframe is available to download for free from the Nintendo Switch eShop as we speak, and this Fortuna expansion lands today. Hopefully this also means the game will be on-par with the other versions regarding balancing updates and stuff. There's quite a few quality of life things we don't have yet. Crossplay with PC please! Just please! This is the game that got me to stop playing Destiny and is also why I havent preordered Anthem. I've played it every single day since launch on the Switch. Me and my Chroma Prime and Lockjaw, my green kubrow, are ready. On regards of "what are you waiting for", you SHOULD wait for the update to hit as it will require the full game to download again ( this is probably only for this time and further updates will roll out normally). 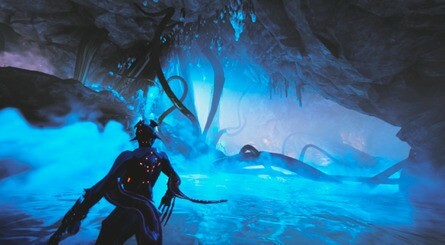 This is also the first Fortuna update out of 2. For those interested in the changes I would recommend the channel Luktorce on YouTube. 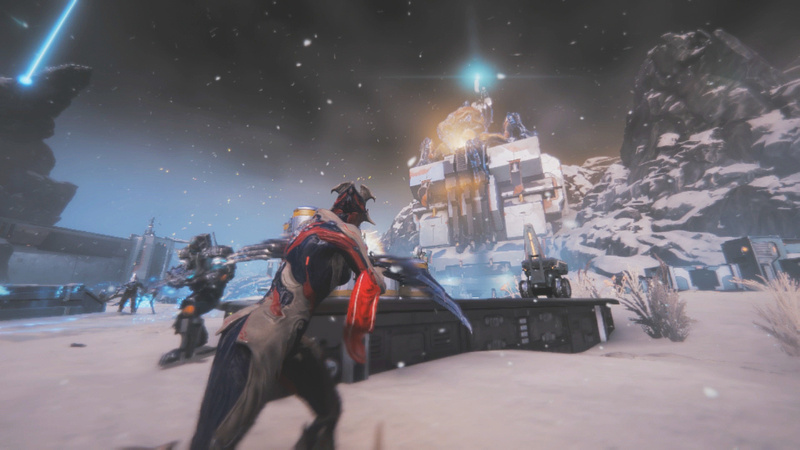 He usually covers most of the updates in every platform and said he will make a video about Fortuna on Switch ( but it will take a while as the update is massive). I'll check it out but none of my friends wants to play Warframe and when searching for clans in my country it seems everyone plays on PC. So unfortunately the game is hard to enjoy without cross-play. I could join an english clan but Warframe is demanding to play as it is without me having to focus on speaking english. Neat, but that means I may not visit the game for a few days until I find time to redownload it (assuming it's one of those online-only works that don't go past the title screen until updated). We're talking 12+ Gb, and that's without a few other titles I've been eyeing on sale. Then again, daily login rewards seem to be accumulative, and I'm missing Razorback event anyway (some crafting components are reportedly on the planets I'm still far away from). I still need to check this out. How do these guys make their money? @brunojenso If you don't want to pay, you have to grind like fsck just to get off the first planet. Grinding is part of the game, however dystome's comment is completely incorrect. I got through the first three planets in literally four to five hours. On my first playthrough....one to two days since I didn't know where I was going. Getting off of Earth was as easy as completing any first stage in MOST video games. @dystome Nah, the first couple of planets you can unlock in like 3-5 hours. Also, the grind is the game, in a good way. The game consists in playing missions to gather resources and blueprints to build better and cooler equipment and enhance your abilities. Yes, you can pay to fast forward some of that progress but in reality you are essentially paying for not playing the game. It still makes sense if you just want to have that particular frame or gun that looks really cool or to complete your fashionframe look. Grind is a good chunk of the game's fun because that's how you level up your gear ( and with that your mastery rank which unlocks new gear). I'm just past Saturn ( which is the ninth planet/moon) and haven't grind much beyond normal gameplay. The only thing that actually slow you down is the lack of Platinum, you'll need Platinum to buy slots for Warframes, weapons, etc. You can only get Platinum by trading with other players or buying it for real money. ... Or you can just sell everything you don't need or use and get by with those 2 Warframe's slots ( but it's unlikely people would want to do that). 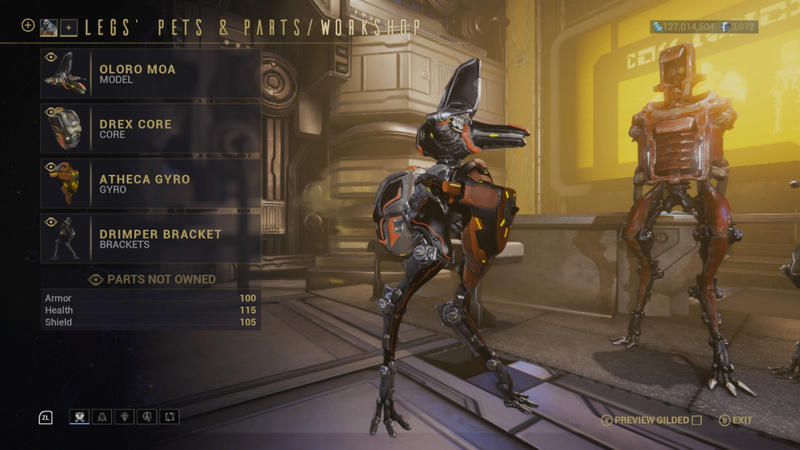 @RandomLeo00 The moment you get a Prime version of a Warframe you already own and leveled, there is no reason to keep it after you maxed it for Master Rank affinity points. Just delete it free up a slot, since the Prime version will be the one you will continue to invest in, like Polarization, etc. A may-as-well-be-free since you don't have to pay and grinding is fun, 3rd person perspective (open-world?) adventure with a great single player campaign and cutting edge graphics? Does that sound about right, or am I way off? And if so why the heck am I not playing this already? And now there is new single player free content! What games would you compare the campaign to? Anything like Darksiders, Bayonnetta, Metroid prime (which I know is 1st person)? Any rough comparisons would be great. I think it's time to go back to this game. It's really good, but Smash took a lot of my Switch time. @brunojenso it's an MMO so not technically single-player. You CAN solo but most is balenced for co-op. It's hard to describe the gameplay since it's quite unique. I think Bayonetta mixed with Mirrors Edge might give you a hint. Or Sonic mixed with Devil May Cry. It's really fast. It's a shooter. It's a hack n slash. Each Warframe can cast "spells". It's like a superfast Mass Effect I guess? Time to go back. Like @Edu23MiiU Smash and NES took me away from it. Yeah but you'll usually get more non prime Warframes. I'm currently trying to get Oberon or Limbo prime as I already have a couple of parts from both. In my experience, the game throw things at you depending on your squad level, so a lot of mission will be easier solo. It's not open world, you do missions inside randomly generated environments (it's actually a set amount of rooms that are randomly connected). It's a fast paced shooter with an optional Meele weapons, lots of mobility ( and parkour like movement, like a space ninja) and 4 abilities per Warframe. The story is barely there for the most part, at least until you get to Neptune or Pluto. You'll need a constant internet connection and look for definitions, advise and whatever else from guides outside the game ( the game barely tells you anything). I'll recommend just playing it to see if you like it, it's around 13.5GB. If you do start to play, I'll recommend spending your initial Platinum only in Warframe slots. I’m curious how this new expansion performs on the Switch. Plains of Eidolon was really bad and almost unplayable. @MisterMan I never have a problem playing in the Plains. Its perfectly playable for me, and sometimes I log in just to run around in there freely doing whatever to pass the time. I don't really understand people who say "The Plains are unplayable!" because they aren't. @Highlar People are referring to low resolution and frame rate. Having previously played this on PC I can't deal with the poor performance in this area. There's a lot more on the Switch that I'd rather play instead. That's what I'm referring to. Ok so when today does this update arrive? It’s 4:45pm (GMT) and nothing to indicate the update is live. I’ve logged in and nothing is different. I’ve tried software update option and told I have the current version. @RandomLeo00 Thanks for the heads up about the channel for Warframe content. I have subbed. Does anyone know the size of the update? @nhSnork don't worry, it's not in-game update like before. You can trigger the update from the switch's homescreen and let it download overnight or on the background. @Zimon During the missions you don't really need to talk, so why not find a big clan? The game is so much more fun with some company! @dystome you obviously didn't spend much time playing warframe... I play 2 months now and didn't pay a single €, as there are ways to get a little free platinum in the beginning (Twitch, for example). Also, you should join a clan because the people are friendly and helpful and are happy to support you on more difficult missions. In addition, even if you buy stuff for real money (prime stuff and platinum) it is not guaranteed, that you succeed. A lot of important stuff for later still.need to be grinded. You could look for a clan on the official forum or ask on Reddit (r/warframe). Also you might try in-game chat. I started my own clan with a friend but I think we'll look for a clan soon because a two play clan doesn't really feel feasable.